Millions Will Be Spent To Silence Americans Like Emily. Right or wrong, genetic modification is happening to our food supply. Not surprisingly, 92% of Americans feel they have a Right To Know which foods contain these genetically engineered ingredients by having companies that sell GMO foods label them. Over and over our concerns and request for transparency in labeling have been squashed by lobbyists in Washington. But Californians have gathered enough confirmed interest to get a proposition on the ballot this November. The idea of Proposition 37 being approved by voters has Monsanto, Dow, and many more gathering dollars to present smear campaigns depicting GMO foods as safe and this proposition as a waste of taxpayer’s money. In truth the money they are worried about wasting is their own. If Californian’s approve this measure, their concern is that the requirement will spread. They are concerned that – given the right to know – American’s will choose foods that have not been genetically altered at to increase profits and shelf life without testing for safety. See for yourself who is paying to support and oppose Proposition 37. Ask yourself which companies are more aligned with your personal beliefs. I’m not feeling like Monsanto & Dow – the people who brought you Agent Orange and DDT and swore up and down they were “safe” – have my back. on the flip side, I’ve met Mercola & dined with the Bronners. I trust their products and their motives. If Monsanto & Dow are wrong about GMOs like they were wrong about DDT and Agent Orange, the devastation will be permanent and lasting. GMO crops spread. They are not containable. Wind, butterflies and bees do not remove pollen before crossing from one farm to another. There are overwhelmingly sad stories of farmers like Tom Wiley who’s business was devastated when the sale of their crops was denied after testing positive for GMOs that were spread from nearby farms. American farmers lose more than $300 million annually in corn sales to the E.U. alone due to such contamination. We have to speak up for ourselves! We The People cannot outspend Monsato and their cohorts. But we can be loud, be heard, be tweeting, be posting on FaceBook and Pinterest, on bulliten boards and on our own refrigerators to remind ourselves & our loved ones to vote yes on Prop 37. And we can be prepared for the the hype they will spin to downplay the importance of labeling & GMOs. If you don’t live in California, don’t wait for the fight to come to your state. 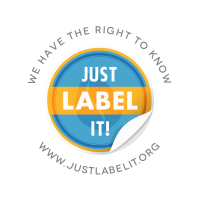 There is a whole host of things you can do to support the push for labeling of GMOs. The governments of 49 other countries have seen fit to protect their people from GMOs or at the very least give the the right to decide for themselves through mandatory labeling. 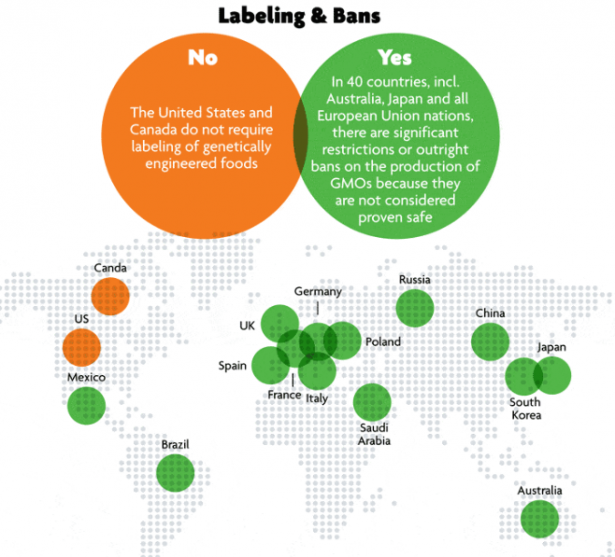 ← GMOs- Do You Have the Right to Know?